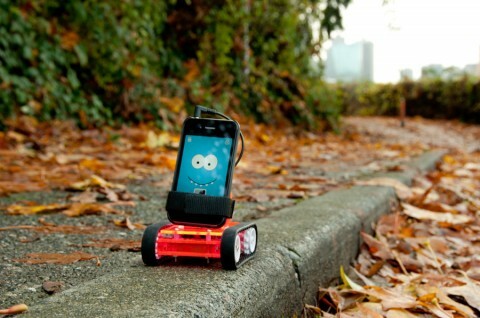 Please meet Romo, a charming smartphone robot by Romotive. If you’re into robots, and always dreamed of having one, Romo is for you. 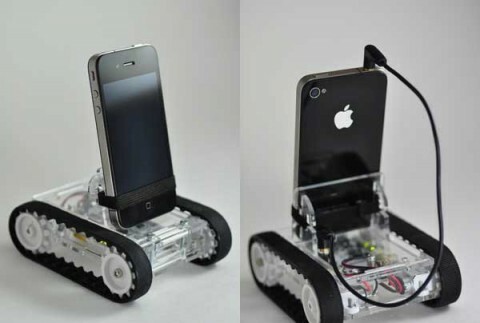 Romo uses your smartphone for his brain, is affordable, extensible, and a super fast learner. You can let Romo wander about your home and dance to music or you can stream Romo’s video to a controller and control him across Wifi. Romo communicates with your phone via the universal audio jack, allowing Romo to be compatible with any smartphone. I can not wait to introduce one of these little fellows to my kids. Totally wishlisted! But because of its delicacy..Wouldnt It would seem more an office/ grown-up amusement toy though? Also on a bigger scale, i am sure there could be some HIGHLY practical uses for a gadget like this. Yea I so want an automatic device I can plug my expensive phone into that will smash my phone into things for me. pfff who wants to drop their phone like a shlub when you can pay for a device that will do it for you. Do they have one with a protective sandpaper screen cover I would hate for my screen not to get scratches on it.